Children need monthly or weekly financial support from the parent who is not living with them due to divorce or separation. If such support is no longer available and there is no reasonable cause of such default in payment, you should act accordingly. 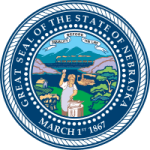 As a parent in Nebraska, you can seek this help from child support offices within the state. Step 2: Enter the details of the parent and child as required. Step 3: After that, you can read the rights and responsibilities before you sign. Send the filled form to the local child support offices to have that request processed.